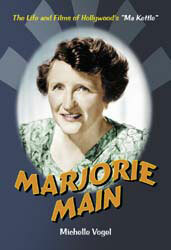 “Marjorie Main: The Life and Films of Hollywood’s Ma Kettle” is a mouthful. But this new biography by Michelle Vogel, published by the distinguished publishing house of McFarland, is a one-of-a-kind gem. 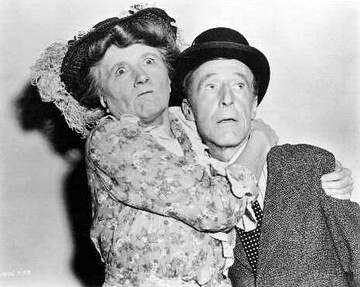 So many books written about the actors and actresses we all know and love for their exemplary work on the great Silver Screen just don’t grab us or hold us spellbound. Books about Olivier, Hattie McDaniel and Louella Parsons, for example, all sound fascinating and interesting but most fall short of their marks because so many writers choose the same icons over and over to write about. Not this author. Michelle Vogel, one of the most valued and respected writers in the industry has struck gold again. First, it was another McFarland publishing production, Vogel’s “Gene Tierney: A Biography” and now her main story. Both books are Big Screen worthy of a biopic. But back to Main. A well-respected actress in a time when women were not powerhouses in the business, she’s now largely forgotten, but not because of a lack of work. She had lots. This book chronicles Main’s childhood in Indiana and delves into what led her to become a star. When I first read it in two nights, I couldn’t put it down. Then I went back and read it for the third time just to get a feel of it. Vogel, a young new mother, seems to have channeled herself into Marjorie Main’s very soul and almost time-travels with her to understand (and make her readers understand) what life was for this performer. From Stage to Theatre and the Big Screen, Main’s life was never boring. Nor is this book. I suggest every Hollywood historian, actress and actor purchase this remarkable volume. Vogel and McFarland appear to have a marriage made in publishing heaven. She continues to produce best-sellers and this one will be no exception. Joan Crawford Dolls – Almost Sold OUT! I (and Joan Crawford’s grandson, Casey LaLonde) have been involved in the creation of the very first, officially licensed Joan Crawford doll for a number of years now. 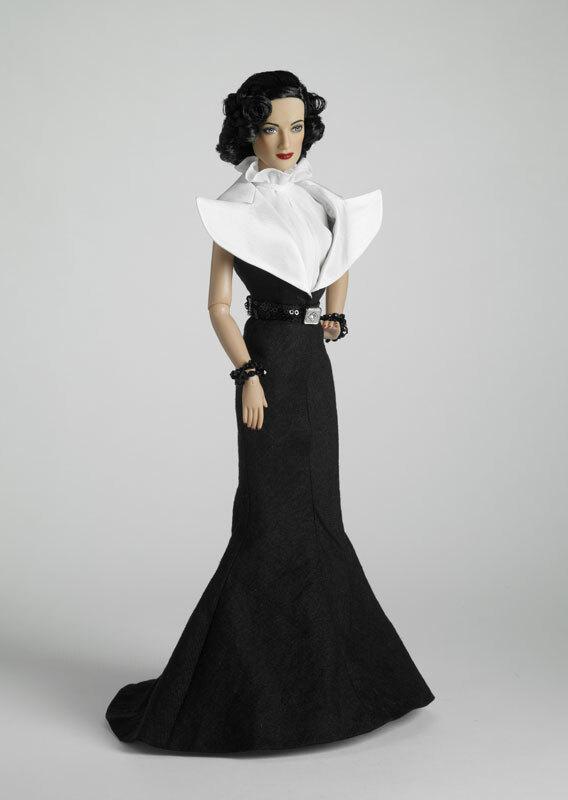 The Tonner Doll Co. have developed a number of dolls, all dressed in different outfits, hair styles and make up to mirror Joan Crawford’s unmistakeable style . The doll’s face was sculptured using varying images of Joan Crawford’s face to copy. Tonner have done an AMAZING job and the sales reflect that. All but two of the dolls have – SOLD OUT! “Classic Portrait” is still in stock. 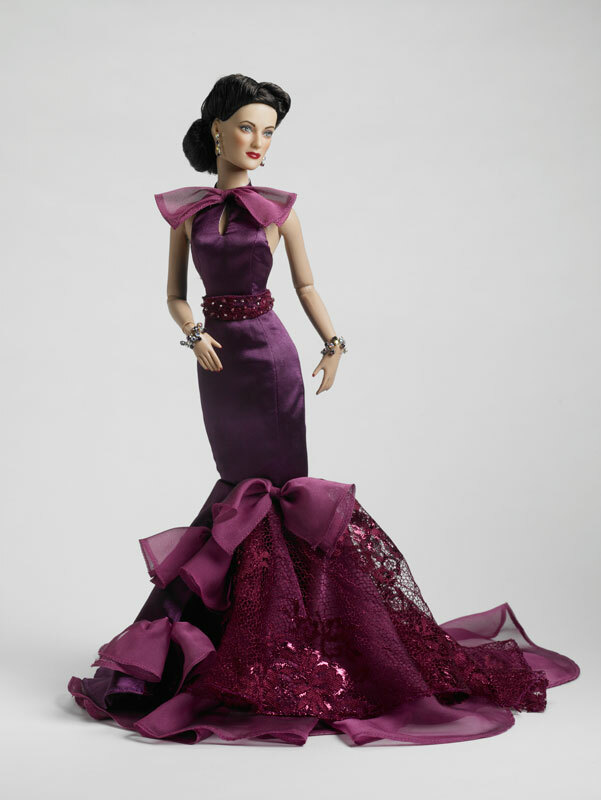 A little surprising, especially since this doll won the – 2009 DOLLS AWARD OF EXCELLENCE. Above: Joan Crawford -“Classic Portrait” doll. 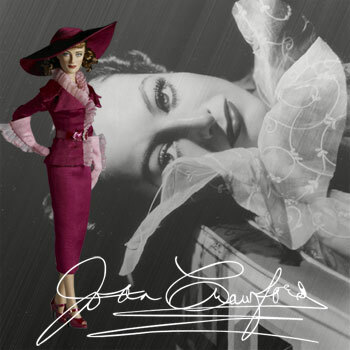 One of the two dolls left available in the popular Tonner Joan Crawford collection. Joan Crawford – “Woman of Passion” – Still available. More dolls coming soon…watch out for them! Olive Borden has not slipped totally from public consciousness as this book demonstrates. 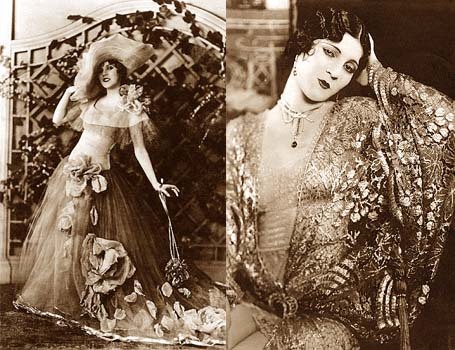 Olive Borden has not been forgotten. 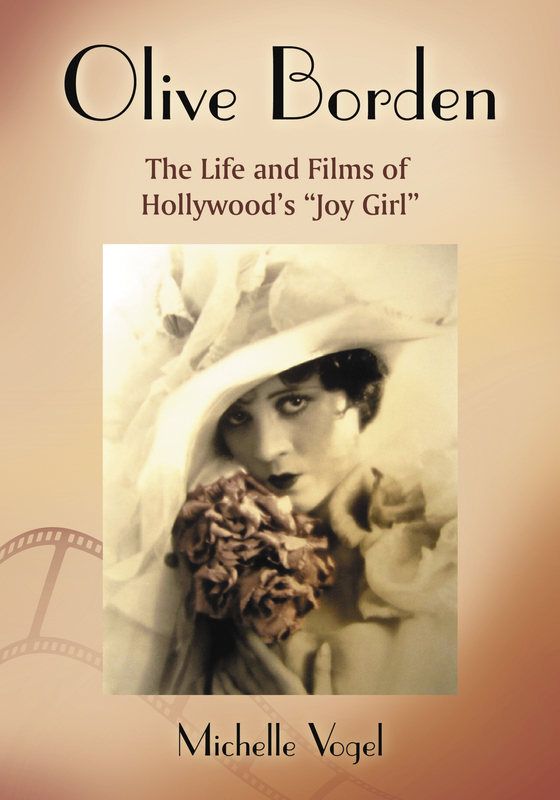 Olive Borden’s is covered in Michelle Vogel’s book A fascinating chapter of Olive career is told through studio publicity so it reflects the images that she was playing in the movies, a story about what a peppy and wholesome, happy girls she is and the next story about the sophisticated, “vampish” clotheshorse. And of course, as one reads story after story, the understanding that the publicity department at the studio controlled how the general public saw Olive, extravagant, temperamental and volatile. She seems not to have a realization of the importance of controlling her own image. The book has over 130 pictures in it! 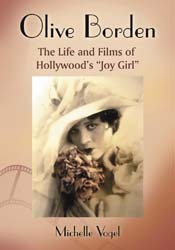 The filmography lists around 76 movies with Olive Borden, both silent and early sound, so I hope IMDb gets their hands on the book as they only list 46 movies. 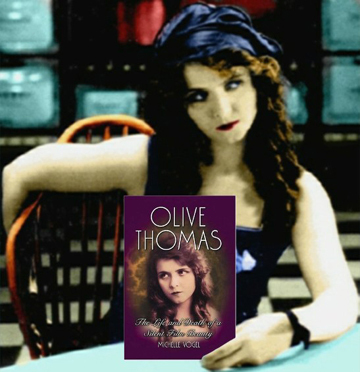 By putting the films of Olive Borden in historic context Michelle Vogel creates a very effective manner of explaining Olive’s place within that world. If you are looking for a lot of pictures and an expanded filmography this book should be on your bookshelf. Olive Borden can be ordered though the McFarland website: www.mcfarlandpub.com or 800.253.2187. This story would make a riveting novel: a girl from humble beginnings moves to Hollywood with dreams of stardom, makes the dreams come true and then sees them collapse into loss, poverty, suffering and death. That novel could explore themes like the diverging paths of success and happiness, the phenomenon of celebrity, the doppelganger of public and private personas. Never mind the fiction. 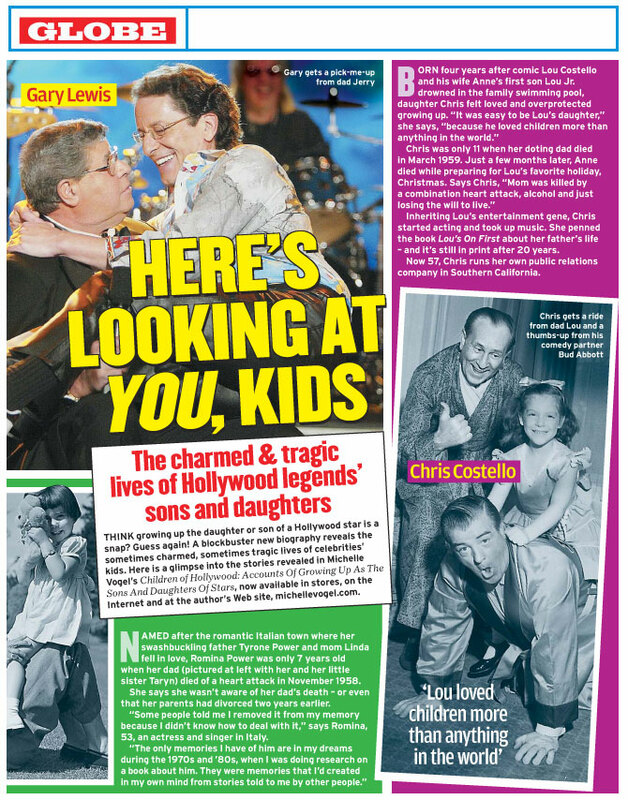 You could do just as well by telling the true stories of silent stars like Marie Prevost or Charles Ray. 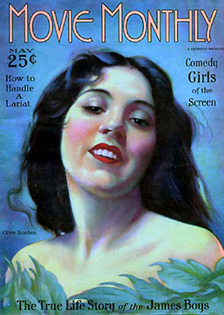 Or– for maximum impact– you could tell the story of Olive Borden. Borden first appeared in films (and usually only barely) as teenage eye candy in early-1920s silent comedies for Al Christie, Jack White and Hal Roach. From that lowest rung of the acting ladder, she rose to ingenue roles at Fox, as Tom Mix’s leading lady in a pair of his popular westerns. On the right: Olive with Tom Mix in The Yankee Senor (1926). Then, things got really interesting: playing the female leads in films by most of Fox’s best directors, John Ford (3 Bad Men, 1926), Howard Hawks (Fig Leaves, 1926) and Raoul Walsh (The Monkey Talks, 1927)… love with the studio’s leading man, George O’Brien… and starring roles in pictures tailored just for her. All of this happened within a couple of years. Detail from a lobby card for The Country Beyond (1926). For Hollywood’s highly-paid stars, this was the worst possible time for a contract to expire. 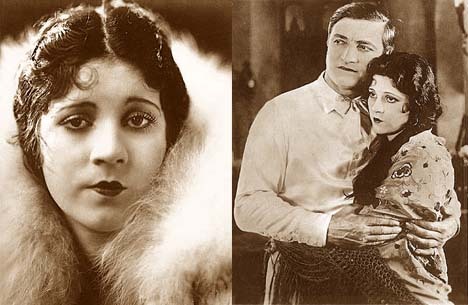 Reliable fixtures of the silent screen were suddenly uncertain propositions in the new world of the talkies. Confident that cheaper talent could be found on Broadway, the studios let a number of stars walk indignantly out the door. One of them was Olive Borden. An art deco Olive, in The Social Lion (1930). Photo by Eugene Robert Richee. At first, things didn’t seem so bad for her, but they deteriorated quickly. Leading roles at Columbia led to secondary roles at FBO, then to jobs at the independents, then to… nothing much. Her personal life was no better. The big paychecks were gone, but she couldn’t stop spending money, until her finances hit a wall. It was over with George O’Brien, and she dove into a marriage with a man who turned out to be married already. Things got worse from there, a lot worse. The book has the details, or most of them anyway, probably everything that can be known about them. It’s a grim finish. Setting aside the Hollywood backdrop, this is a study of one human being who lost her way: a life that had been lived in radiant Rolf Armstrong pastels of success and happiness fell into decline and decay, finishing up in a dark skid row landscape straight out of a Charles Bukowski story. For many years I wanted to see The Monkey Talks without ever expecting that to happen, but then Cinecon screened it about a decade ago. It topped my expectations: a bizarre fable of passionate obsession among circus people, in which a beautiful tight-rope walker is the fixation of a human monkey. Jacques Lerner is amazing in the title role, and an incredibly stunning Olive is nearly as compelling as “Olivette,” the object of his desire. The film beats Tod Browning at his own game, but it’s seldom screened anywhere, and its chances of a DVD release are just about zero. Two or three reels of the only surviving print suffer from a manifestation of chemical decomposition, one oddly appropriate for such a strange film: throughout those reels, it looks like you’re watching undeveloped negative. The blacks have turned to white and the whites have turned to black. Fortunately, the last two-thirds of the film are fine, and they pack a punch. 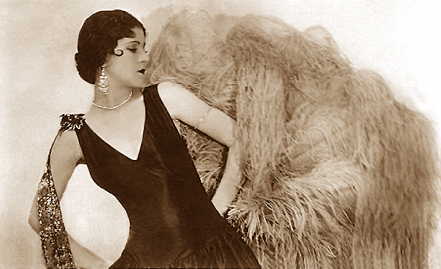 But most of Olive’s other key silents are lost. Even her talkies are hard to find, and a number of them are lost as well. I recommend this book. The author has plumbed depths of research that no one else has ever attempted, and I doubt that anyone will ever do better. 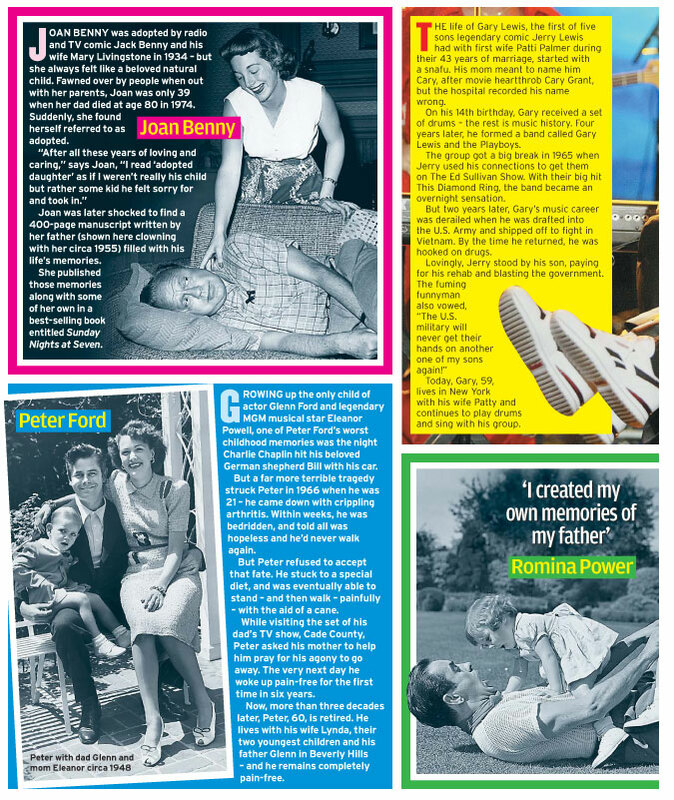 There’s a photo on nearly every page, and a thorough filmography. The author’s tone strikes a good balance: a clinically dispassionate regard for her subject would be too much to ask, especially when the subject arouses as much sympathy as this one does. But the book is no puff piece, either. Much of Olive’s downfall can be blamed on no one but herself, and this author never ducks behind the altar of film star idolatry, as so many others do. The book isn’t perfectly flawless (Olive’s early comedy short Riders of the Kitchen Range isn’t lost, as reported, and I would argue that Janet Gaynor, with The Blue Eagle and 7th Heaven behind her, was hardly a “rank newcomer” when she beat out Olive for the lead in Sunrise). But I could find something to quibble about with any book on silent film history (and believe me, I do). This one’s a winner. It serves its subject (and the reader) well, expertly excavating an unforgettable true story from the ruins of old Hollywood. Glamour, thy name is Olive.